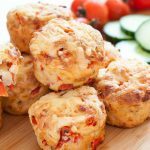 If you’re looking for quick and simple kids packed lunch ideas, look no further than these delicious garlicky red pepper and cheese muffins. 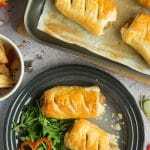 They’re easy to prepare, quick to bake and can be stored in the fridge and popped in packed lunches every day. Of course, parents don’t tend to have very much time to spend cooking, so I always try to sneak little shortcuts into our lunch recipes. For this recipe, I recommend using an ice cream scoop to get perfectly evenly sized muffins in a fraction of the time it would take to spoon the batter in. Nifty! The pine nuts add a great texture, but you can leave out the pine nuts if your child/school is nut-free. Here’s how to make these red pepper and cheese muffins. Fold in the flour – the mixture will become stodgy, don’t worry! Here’s the red pepper and cheese muffins recipe again in a printable format. 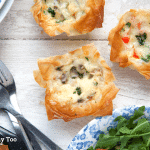 Flavourful, moreish savoury muffins, packed with red pepper and cheese, with a kick of garlic. One of my favourite packed lunch ideas for kids. Fold in the flour - the mixture will become stodgy, don't worry! Delicious! What do you think? For another savoury muffin idea, why not try these courgette and cheese muffins? « You want to know my what?! Jason Manford delivers stand-up routine about phoning the bank. Can you relate? These were GREAT. I worried that the mix was a bit stodgy but the recipe expressly said not to and I trusted it. They’ve come out amazing! Can’t wait for lunch tomorrow! These look great! Do you know if this recipe works with melted butter? There’s melted butter in the ingredients list? 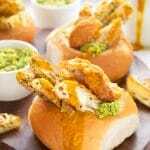 I think I might have to try and make these, even though I’m really not a natural cook at all, but they do look delicious! 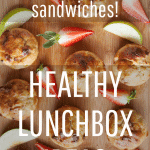 Great recipe and a perfectly yummy lunch box idea. This is an awesome idea for a lunchbox or a summer picnic! Great idea to use the scoop to get the right size! 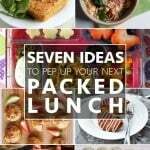 I will try these out in the holidays, we will be doing lots of picnic lunches so these are ideal! What a gloriously cheerful lunchbox recipe Emily! I’m a huge fan of scones, especially the savoury kind full of tasty treats like these ones. 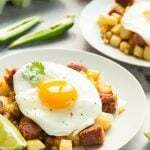 Delicious looking recipe – though I have an aversion to red pepper! Might sub tomatoes or make it as is for the kids. Yummy.